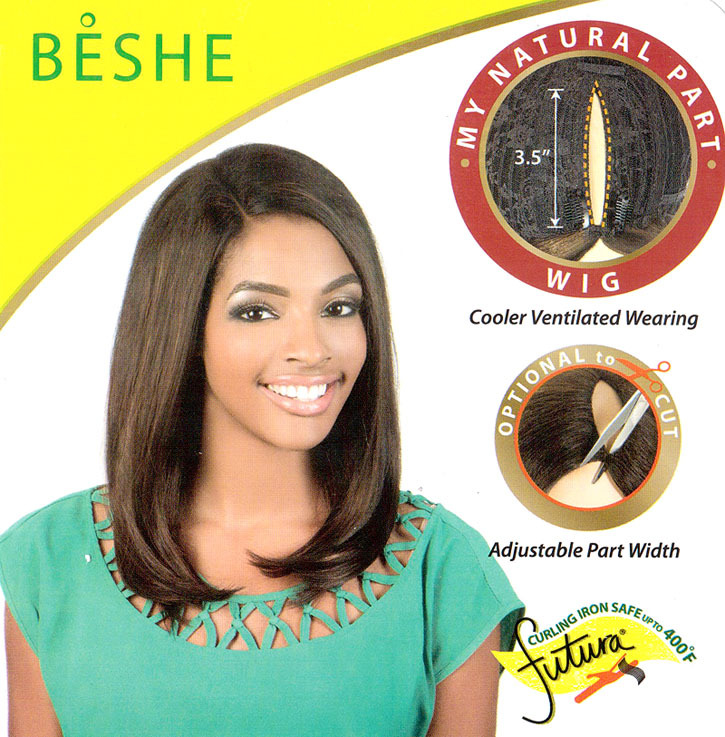 Beshe Invisible My Part Wig MP 117, straight layered style, constructed with curlable futura fibers, exceptional quality and value. 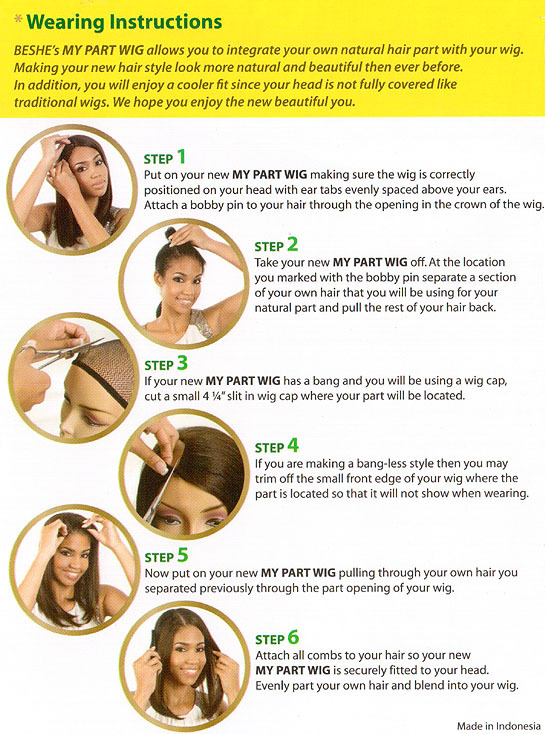 Allows you to part your own hair for an even more natural appearance. The clips may need to be removed and sewn in again and an addition clip added to prevent bunching and easier for hair to cover in a flat manner.